Cutera’s ProWave™ Laser Hair Removal is a cutting-edge, non-invasive light therapy that provides long-term, permanent hair reduction for your face and body. What sets ProWave™ apart from other laser hair removal treatments are two innovations: a custom design that allows ProWave™ to emit infrared above 770mn and an output spectrum that is adjusted to tailor to the specific needs of each patient. The result of ProWave™ is unlike any other hair removal treatment. Its large spot size and fast repetition allow it to treat the large areas such as your legs and back quickly, helping to permanently remove hair for a wide range of skin types (Types 1-4) within just six to eight treatments (results may vary). 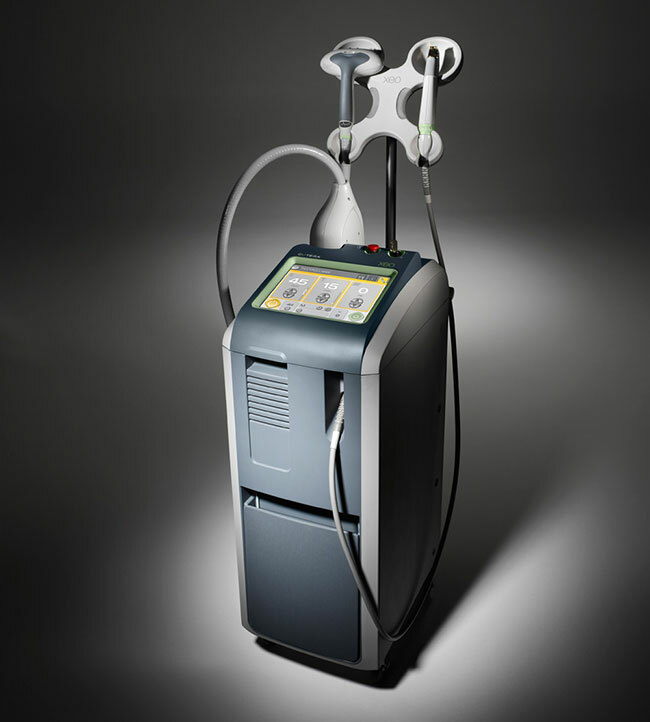 How Does ProWave™ Laser Removal Work? Through an infrared light, ProWave™ targets the germ cells of your hair follicles. Focusing on the anagen hairs (hairs in the growing phase), the infrared light zaps the mature pigment at the follicle bulb of the anagen hairs. By removing hair at this source, the pigment is destroyed, helping to permanently reduce the amount of hair in the area. Since one treatment is only able to remove 30% of hair that has the pigment, multiple treatments are required to fully remove hair in the desired area. Q: What skin types can the ProWave™ Laser Hair Removal procedure successfully treat? A: ProWave™ is tested to be used safely on skin types 1 to 4. Q: Does ProWave™ Laser Hair Removal hurt? A: Since it is a laser treatment, you will feel a slight discomfort during the procedure (much like snapping a warm rubber band on your skin). 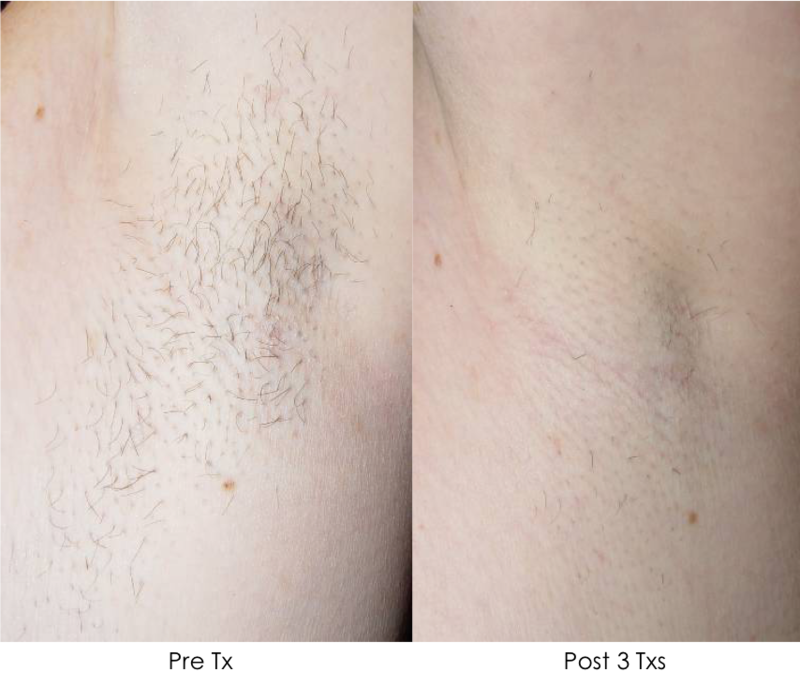 Q: Can I wax or shave before a ProWave™ Laser Hair Removal treatment? A: No, it is recommended that you do not wax or shave, as ProWave™ needs hair to be present in order to target the pigment required for hair removal. However, you can shave the day before treatment. Q: Are there any side effects to a ProWave™ Laser Hair Removal treatment? A: Possible side effects are reddening and swelling of the skin in the treatment area. Q: How long does a ProWave™ Laser Hair Removal treatment take? A: Depending on the areas you wish to treat, the procedure ranges from 20 minutes to two hours. Q: Does ProWave™ Laser Hair Removal work if I have white or blonde hair? A: No, these hair colours cannot be treated, they are difficult to treat because there is no pigment. Q: Can ProWave™ Laser Hair Removal work for my graying hair? A: No, when we get older and our hair loses pigment (gray), laser hair removal is no longer an option as the pigment is gone.